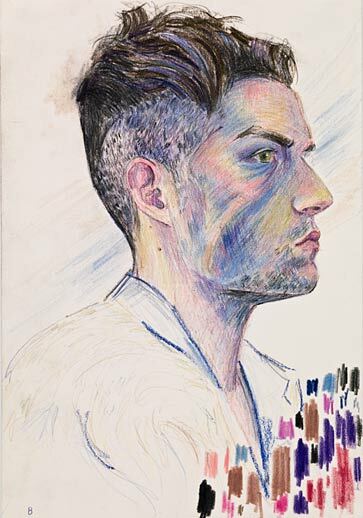 Elizabeth Peyton, “Brandon Flowers” (2009) Via Gladstone Gallery. 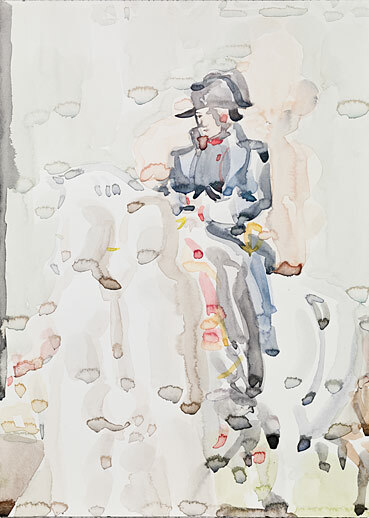 Currently on exhibit at Gladstone Gallery in Brussels is an exhibition of new work by Elizabeth Peyton. 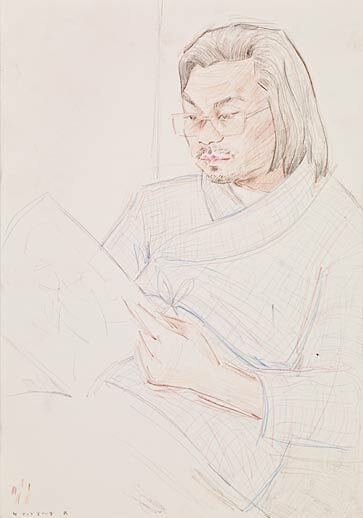 The show, which reveals a continuation of Peyton’s focus on personal and stylized portraiture, encompasses a group of works on paper and employs a variety of mediums– water colors, colored pencil and pastel pencil. The depicted subjects in Peyton’s new body of work range from historical figures like Napoleon and Cezanne’s “Madea” to portraits of contemporary artists such as Klara Liden and Rirkrit Tiravanija. More text, images and related links after the jump…. 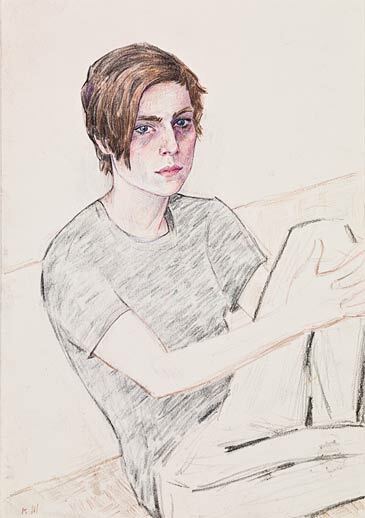 Elizabeth Peyton, “Alex, (Alex Zachary)” 2009. Via Gladstone Gallery. Elizabeth Peyton, Self-Portrait, 2009. Via Gladstone Gallery. 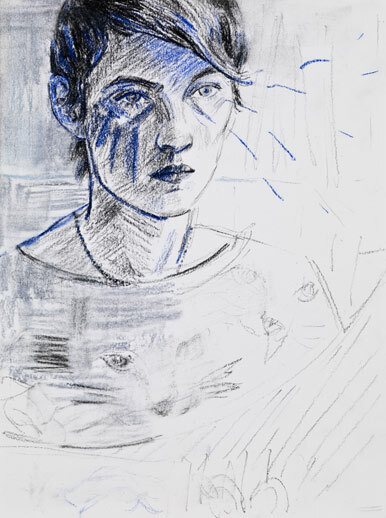 Elizabeth Peyton, Self-Portrait (Berlin), 2009, Via Gladstone Gallery. Elizabeth Peyton “Napoleon (family) Still life,” 2009. Via Gladstone Gallery. Elizabeth Peyton, “Klara (Klara Liden) 10 October 2009 Berlin” 2009, Via Gladstone Gallery. “To paint well, I need to be enraptured by my subjects,” the artist has said in an interview. 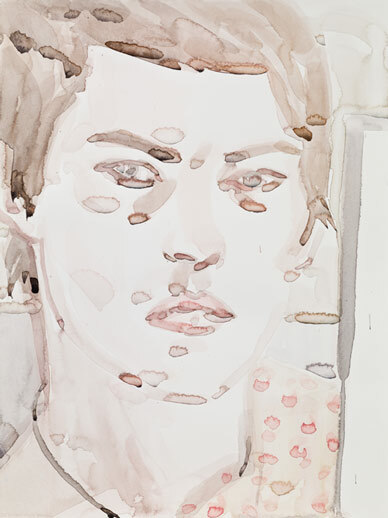 Elizabeth Peyton, “Rikrit, October 2009, Berlin” 2009. Via Gladstone Gallery. 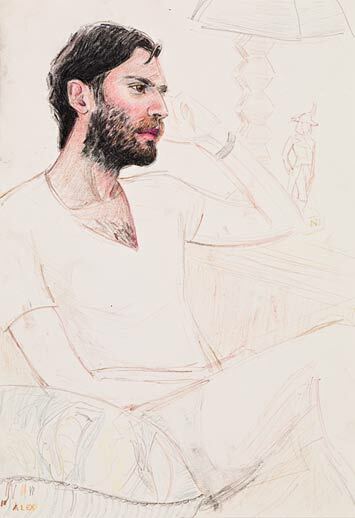 Elizabeth Peyton, “Mark (Mark Ronson)” 2009. Via Gladstone Gallery. Peyton has held numerous solo and group exhibitions and currently has work in the Museum of Modern Art in New York and at the Centre Pompidou in Paris. Her new body of work will be on exhibit at the Gladstone Gallery in Brussels through December 23rd, 2009. This entry was posted on Sunday, November 29th, 2009 at 7:00 pm	and is filed under Go See. You can follow any responses to this entry through the RSS 2.0 feed. You can leave a response, or trackback from your own site. I like her portrait of Mark Ronson best. Love your work and was hoping to see some work in New York while I’m here.